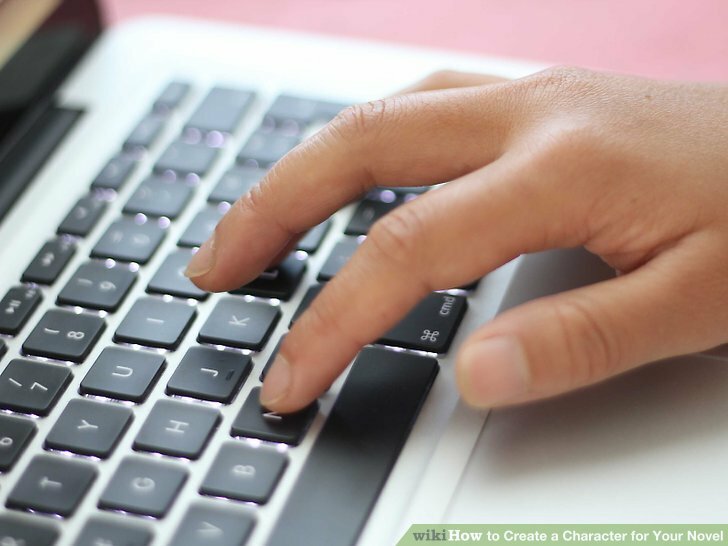 Do you need help creating a character for your novel? Well, you have come to the right article. This article will show you how to create a very “real” feeling character your readers can relate to regardless of the genre of your novel. Get started with step number one below. Get something to write with and on. Pen and paper, a notebook, a nice fresh Word document on your PC, whatever you prefer. If you need to, go out to the store and buy something to write with and on. Keeping your character notes, drawings and doodles in one place is recommended, as this makes it easier for you to refer back to as needed. Write down your character’s full name (first name, middle name, and last name), and any other names/nicknames/titles he or she has. Try not to use your name, or someone else’s name that you know, as this may be considered personal information. 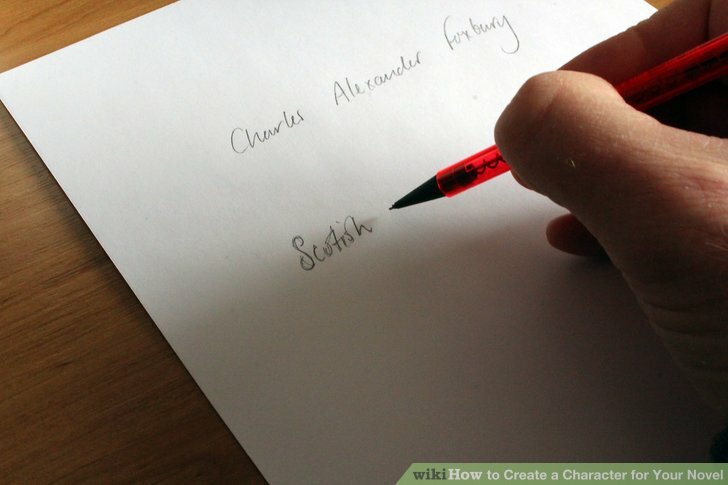 Your character doesn’t have to have their name mentioned in your novel. You may be writing a mystery have your main character may just be referred to as, for example, the Man, all the way through the novel. Even if this is the case, to add depth to your character, you should know them inside-out even if the reader will not. Some characters may not get their name until you’ve fleshed them out. That’s okay too––go with whatever feels right as you develop the character. Give your character a unique, memorable name. Baby name books are a good resource. You can also check sites that help new parents to name a baby. Describe your character’s physical features. Does he/she have red or blonde hair? Are his/her eyes green, blue, or two different colors? What color is his/her skin? Is he or she human, animal, robot or mythical creature? Make your character unique. Describe your character in an interesting way, even your character is meant to be bland or average. Pink hair with pale skin and green eyes? Or short brown hair, brown eyes, and a good tan? Maybe brown hair with purple streaks, brown eyes, and ghostly pale skin. The possibilities are vast, just make the descriptive language good, so that it conjures up the character for the reader. 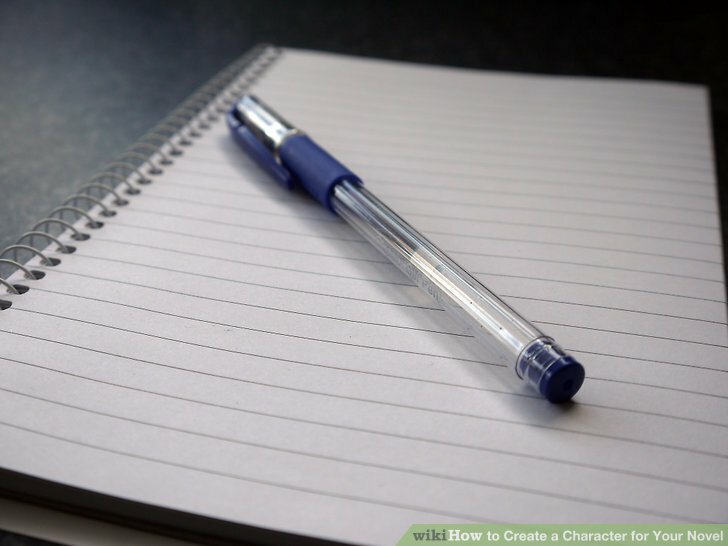 Write down your character’s main features, traits and activities. Nationality, social status and job/occupation. Beliefs, values, preoccupations, superstitions, preferences, fears or phobias (Is he/she afraid of the dark? Or maybe spiders?) and why they fear that specific thing. Friends/allies, enemies, any family he/she has, any lover or crush, etc. Particular talents (maybe he/she is good at juggling), any movements/protests he/she is involved in (describe the movement/protest and its purpose), and past/childhood (maybe he/she used to be a warrior or a bank-robber), etc. Hobbies/things he/she likes to do for fun. Describe his/her current home (in full detail) and past/childhood home. Describe the character’s personality in detail. Is he/she loud and flamboyant, or more the quiet introvert? Does he/she stand for his/her beliefs? Is he/she shy, or in-your-face? You want your readers to know exactly what kind of person your character is, if required. Of personality traits, which are the best? They are all great for working with as a writer, but you must choose a reasonable selection that best fits your character––don’t try to overwhelm the character with an unlikely combination of many traits. Don’t give the character merely neutral or good traits. Also spice it up with the vices and weaknesses. Your character is best if presented as imperfect (in actions, appearance or personality). 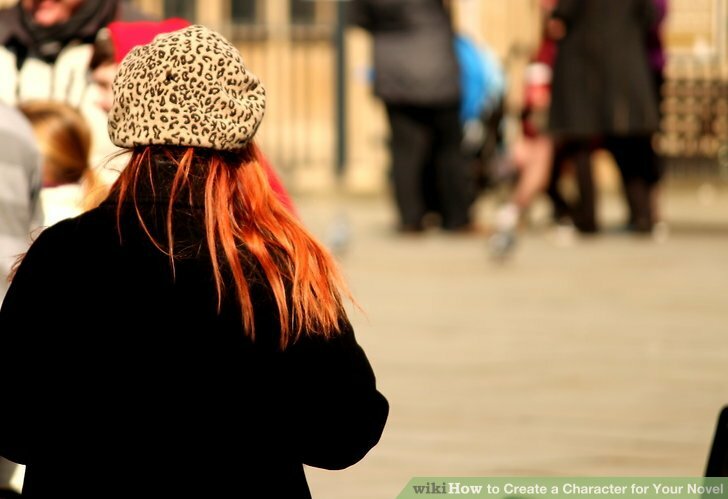 Your character can make mistakes, have bad habits, and possess little interesting quirks. This is what makes the character interesting. For example: Is he so nice that he gets taken advantage of? Or is she so pretty that it goes to her head? Is she such a tomboy that the guys don’t mind including her in guy’s night out? Flesh out the character’s past. Your character’s background is the most important thing about them. That is when they learned what they know today. Was her father a drunk and beat her so badly that she is scared of guys? Or maybe her father was never even in the picture and her mother wasn’t the best mother? Maybe she is the oldest child and takes care of her two little brother since her parents left her at a young age to fend for herself? What are you going to make happen? Develop a plot that relates to the character’s involvement. What is a good story without a good plot? Maybe your character fell in love with the wrong person and now has to find a way out before it is too late? Maybe your character has become mixed up with some bad people or a strange mystery. Maybe your character has only months to live and wants to do something great. Keep imagining away.